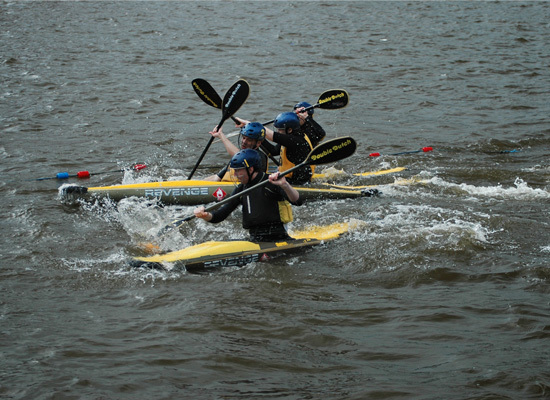 The P&H company was founded in 1968, with a love of canoeing and kayaking and with the motivation and commitment to produce kayaks of the highest standard. Alongside the world class Custom Sea Kayaks P&H has also been producing innovative Polo designs for many years. 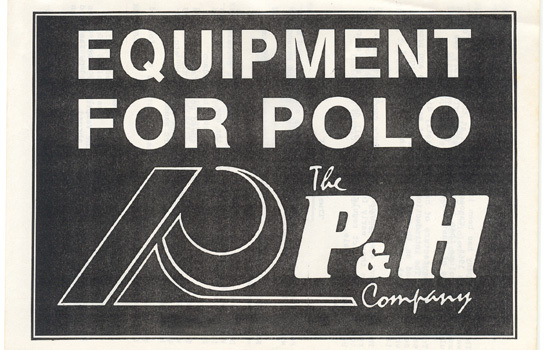 P&H began their involvement in canoe polo in the early 80's and began with the Polo, Polo Sprint, Demon and Vampire and have been a market leader ever since. 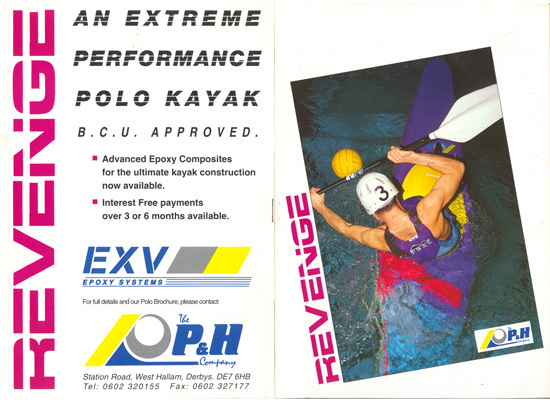 Revenge was launched with the Revenge Polo Kayak in 1992 which was one of the fastest turning and forward speed boats at the time. World Polo Championships: Revenge Polo Kayaks used by the team that won Gold. World Polo Championships: Revenge Polo Kayaks used by the teams that won Silver. World Polo Championships: Revenge Polo Kayaks used by the teams that won Gold and Silver. World Polo Championships: Revenge Polo Kayaks used by the teams that won Gold, Silver and Bronze. World Polo Championships: Revenge Polo Kayaks used by the teams that won Gold and Bronze. World Polo Championships: Revenge Polo Kayaks used by the teams that won Gold. Revenge is still the market leader in Polo construction producing boats for a worldwide market.